ok, I do have the 3d printed adjuster, and I never even thought of the wheels but it makes complete sense. I think I have the black wheels but heres a pic, let me know if there are better wheels out there.! 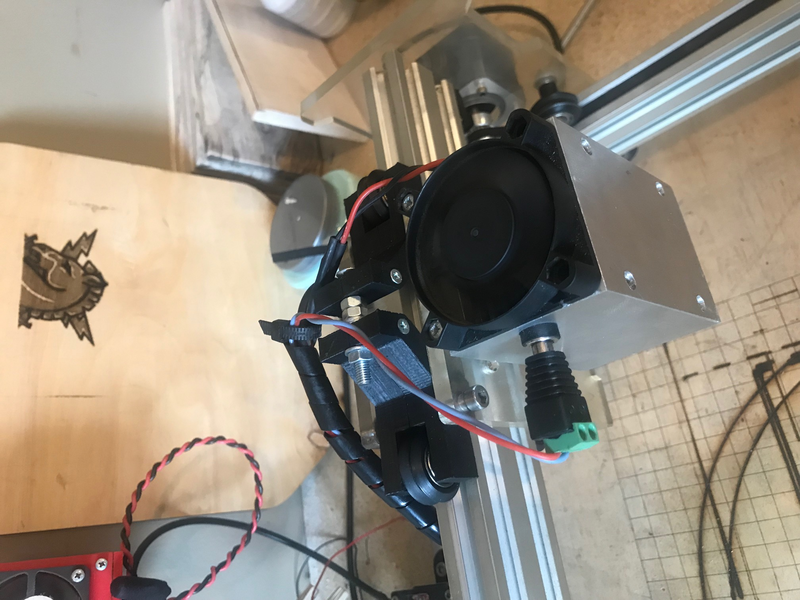 ever since buying an endurance laser 10w I've had some issues with ghosting/alignment, originally it was on the X axis, took some tinkering but figured it out, with the heavier weight the tension needed tightening and set screw was slipping, after that I was up and running and then out of no where I started having ghosting/alignment issues on the Y axis. 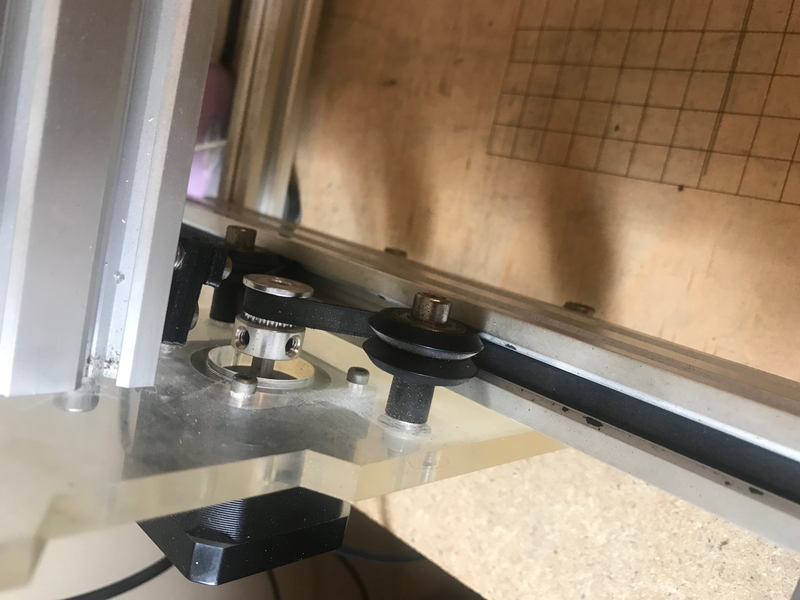 Since I dealt with this once I figured I'd be able to fix it easy enough by tightening the two belts and set screws, I also 3d printed an upgrade on the X axis to help the wheels set tighter on the gantry and make it roll smoother.... 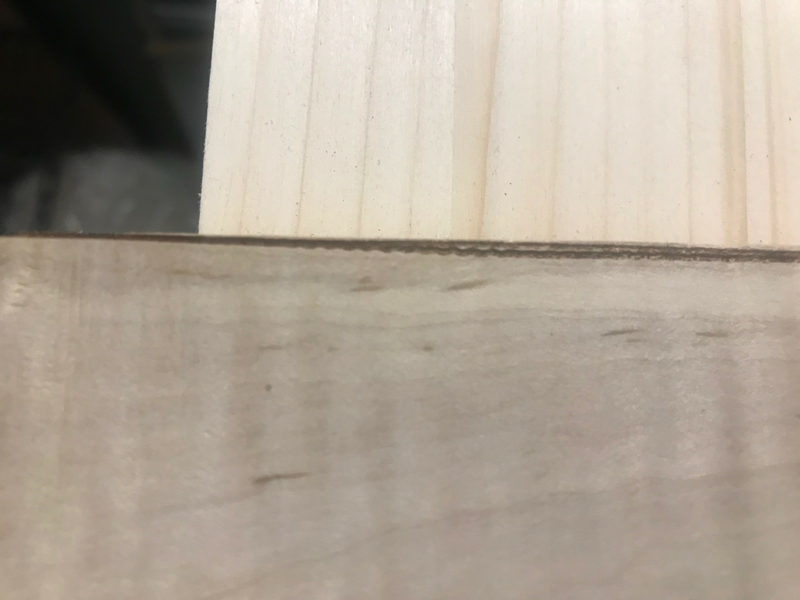 I haven't been able to solve this issue, heres a pic of lines burning left to right, you can see it has an interesting wave to it and it also has a bend to it, the line isn't straight across, any ideas?! my computer somehow lost its wireless network drivers after a windows update. After some help my computer is back up and running on wifi but the oddest thing is my T2 software lost its registration? and when I try to open an image I get a message that says " Thread Exception- serial port error. Sytem.config…… configuration system failed to initialize" please help I need to get my laser back up to get some orders done, thanks!!! Thanks for the reply! I needed up finding the extended frames and belts on banggood. If anyone else is interested the “double stacked” metal frames are 2040 (20mmx40mm)T slotted aluminum extrusions and the single tall one is a 2020 T slotted aluminum extrusions. Just search in Banggood and choose your new length, they also have the belts under the Elaksmaker section. I also bout all new wires for just a few bucks extra spin could use them to extend the wiring. The total price with around $60. Not bad! I know I saw a thread about this but I can’t seem to find it. Where can I get longer frame pieces for the frame and longer belts? I need a larger working area. RE: have 2.5w need more! I've had the 2.5w laser with the eleksmaker A3 for about a year now and its been great! running T2 software to run it and I've done ALOT of projects. I'm starting to do more and more projects and need more power for cutting and to speed up some of the larger projects. I've done a lot of reading and am leery of the so called 15w lasers. Any suggestions on what laser to go with that is as close to plug and play as possible? I'd like a true 7-8w laser but I don't see any threads of people showing which one they bought and if they were happy with it. I might just go with the sure thing and buy the eleksmaker 5.5w laser. Any input would be great! RE: aghh mana se v3.1? !